The Starbucks® app is a convenient way to pay in store or skip the line and order ahead. Rewards are built right in, so you’ll collect Stars and start earning free drinks and food with every purchase. 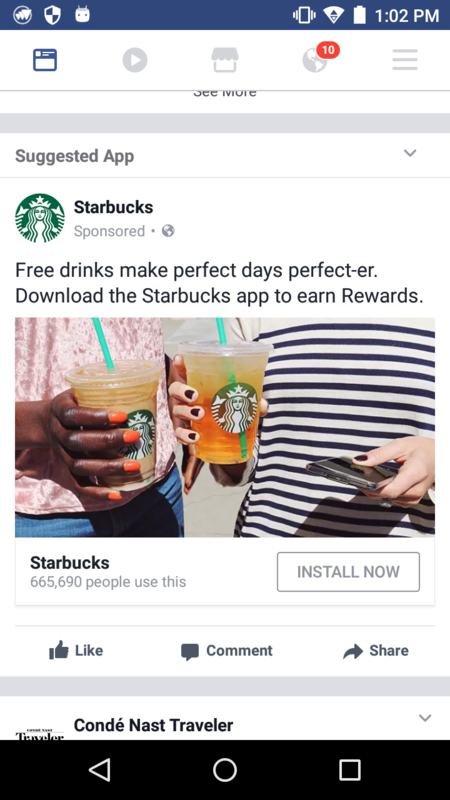 Pay in storeSave time and earn Rewards when you pay with the Starbucks® app at many stores in the U.S. Order aheadCustomize and place your order, and pick up from a nearby store without waiting in lineRewardsTrack your Stars and redeem Rewards for a free food or drink of your choosing. Receive custom offers as a Starbucks Rewards™ member.Send a giftSay thanks with a digital Starbucks Card. It’s easy to redeem a gift from email or in the Starbucks® app.Manage cardsCheck your Starbucks Card balance, add money, view past purchases and transfer balances between cards.Find a storeSee stores near you, get directions, hours and view store amenities before you make the trip.MusicDiscover what songs are playing at your local store.Tip your baristaLeave a tip on purchases made with the app at many stores in the U.S.